Rankings of the biggest growth stars in emerging markets sees India take top spot in the next decade, according to Oxford Economics. 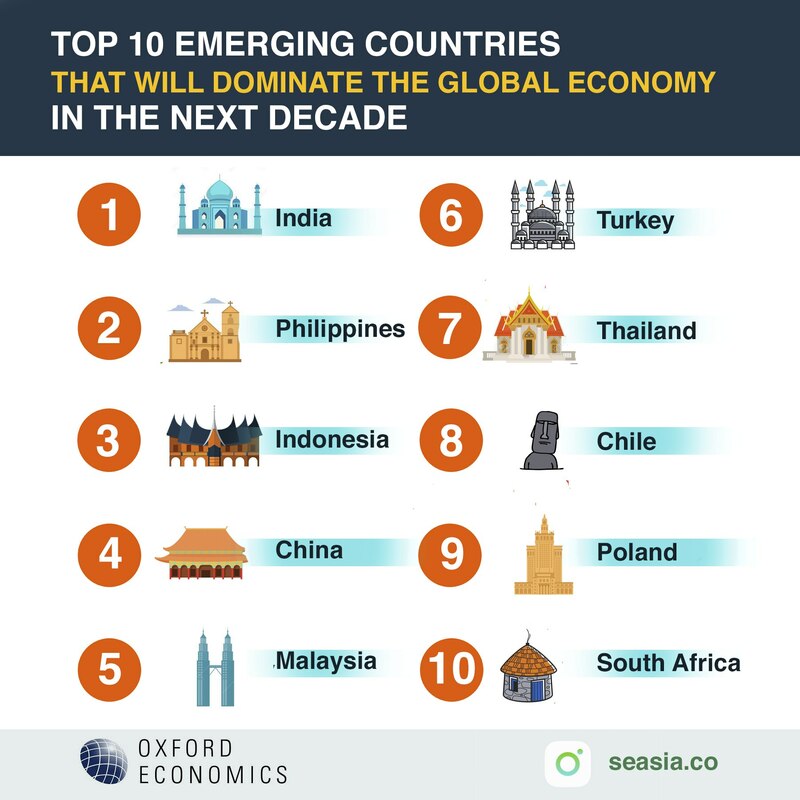 Figures compiled by the research firm indicate that Asian economies will be the most successful emerging markets by 2028 with only one South American country and no African countries in thhe top 10. Oxford Economics cites the need for emerging markets to undergo rapid capital accumulation through domestic financing to succeed alongside strong GDP and robust total factor productivity (TFP) growth. A sizeable export sector is seen as a key factor in avoiding the middle-income trap – wherein countries get stuck at one size for long periods of time – with the main way of aiding this coming from investment in innovation. According to Oxford Economics, capital deepening stems from investment, the bulk of which has to be financed by domestic saving. Four Southeast Asian countries; Philippines, Indonesia, Malaysia, and Thailand are among them. What Oxford Economics say about the four? Currently led by the brash strongman Rodrigo Duterte, the Philippines are a large island group with huge economic potential. The Philippines is set to have the highest increase in its labour force of any of the top 10 which, alongside its GDP growth of 5.3%, means it will be one of the world’s fastest growing economies sooner rather than later. Comprised of thousands of islands in the Pacific, Indonesia’s growth story is one of the world’s most compelling with the country set to be a powerhouse of the global economy in the coming years. Blessed with plentiful natural resources and increasingly less reliant on foreign funding, Indonesia looks set to be a key player in the future with growth of 5.1%. 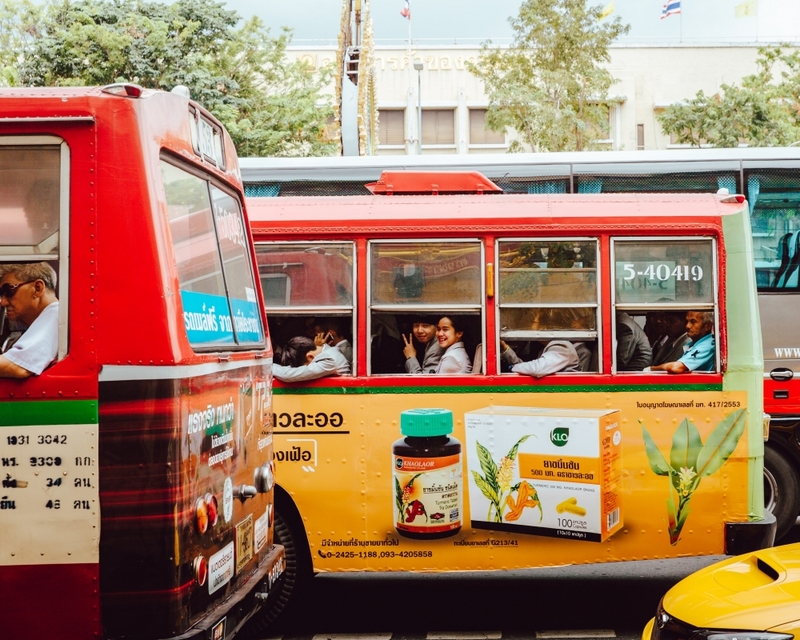 Previously restricted to being a major exporter of agricultural goods and commodities, the Malaysian economy is another South East Asian power on the rise. Impressive 3.8% GDP growth isn’t matched by the country’s TFP growth, which is the lowest in the top 10. The so-called “land of smiles” is one of the world’s fastest growing emerging markets with 2.9% GDP growth expected. Tourism makes up around 11% of GDP output with numbers increasing every year. In the previous decade Thailand’s labour productivity growth was below the trend for comparable emerging markets’ GDP growth, but this is expected to change going forward.